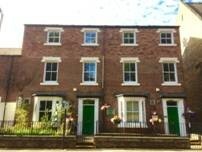 Due to the recent ending of a tenancy agreement, Waddington Street Centre in the centre of Durham has a room available to hire on the ground floor of the building. The room is 4 metres square, partially furnished and has been previously used as a counselling room. Waddington Street Centre is located a five minute walk from Durham bus and rail stations and has the advantage of being a community based mental health resource with a cafe facility that is open 6 days per week.